Starving musician blues got you down? 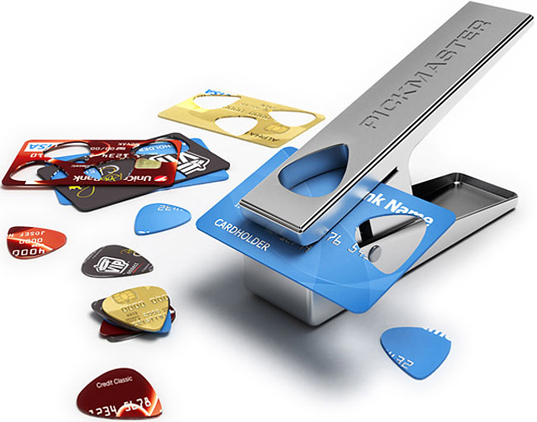 Go from shredding credit cards to ripping guitar solos with the Pickmaster Plectrum Punch. The next time you need a pick in a pinch, simply snap into a cancelled credit card with this clever clipper and keep on riffing. Now that's one great piece design!! I sure have had been plently of times hungering for for a guitar pick and only having new and old credit cards in my wallet. This would be very useful! And sustainable of course! Super cool! Didn't realize it was that easy to make a guitar pick!